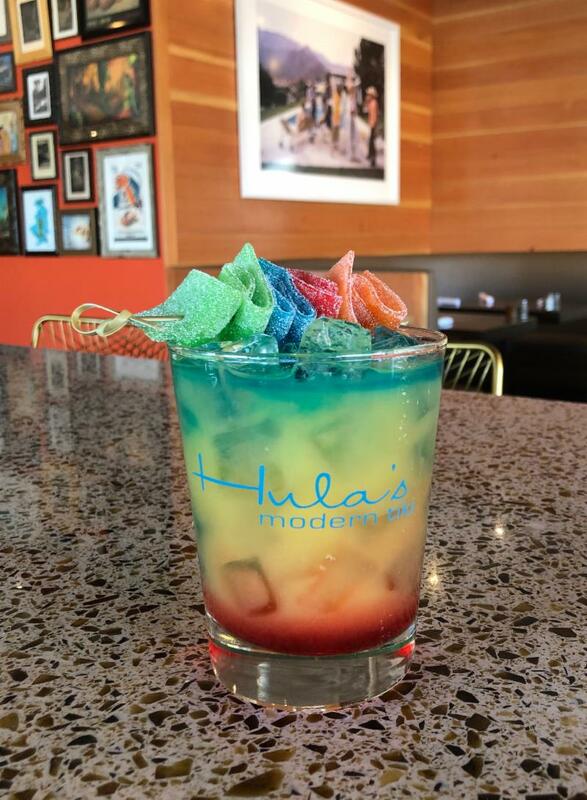 OMG Hula’s Modern Tiki in Phoenix is hosting a 2019 PRIDE party featuring color-changing Tiki Cocktails, plus free Hula’s Pride T-shirts, April 5 – 7 and we can’t wait to try it. 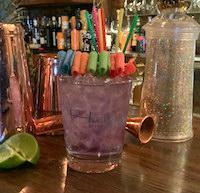 I mean look at those colors, leave it to Hula’s to make the most creative and colorful cocktail of the weekend. 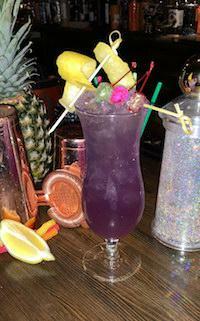 Hula’s Modern Tiki’s “Rumbow” Pride cocktail is offered April 5-7 at the Phoenix location only. 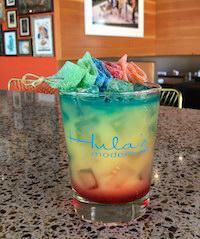 Photo credit: Hula’s Modern Tiki. Plus, due to customer demand, Hula’s Phoenix location has added free valet parking every Wednesday through Saturday, from 4:30 to 10 pm. Hula’s also offers free on-site self parking. Hula’s Phoenix Pride party, featuring festive tropical (and color-changing) cocktails, as well as FREE Hula’s Pride T-shirts*, is hosted on all-day Friday, April 5 through Sunday, April 7, 2019 (Phx location only). And don’t forget Hula’s Modern Tiki in Scottsdale is also hosting the official Tiki Oasis Arizona kick-off pre-party on Thursday, April 11 from 3:30 to 6 pm. Open to the general public, Tiki fans worldwide are invited to swing by Hula’s in Scottsdale for Tiki Time Happy Hour, including $6 Signature Tropical Cocktails, $6 Island-style Starters and more. Plus, this will be your first opportunity to pick up official 2019 AZ Tiki Oasis merchandize and collectible souvenirs. *One per person, free with any purchase. Hula’s Scottsdale’s Official AZ Tiki Oasis Pre-Event Happy Hour is Thursday, April 11, 2019 from 3:30 – 6 pm. 5114 N. 7th Street 7213 E. 1st Ave. Previous Post The 42nd Annual Spring Tempe Festival of the Arts in Downtown Tempe is already here! Next Post Tempe Festival of the Arts and What we ate.